Arizona Native Status: Introduced. 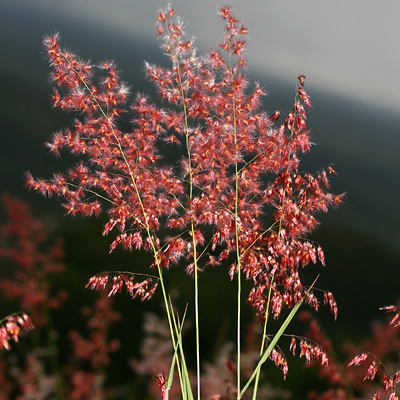 This naturalized, weedy grass is native to South Africa. Habitat: Desert (upper elevation), Upland. 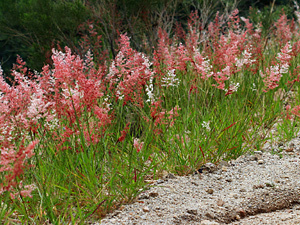 This showy grass with its masses of fluffy, pink panicles grows in open and disturbed areas and is most often seen growing along roadsides. Description: The fluffy panicles of flower spikelets and fruit are covered in reddish, fading to silvery pink hairs. The leaf sheaths are green to tinged reddish and linear in shape.